Designed for boys and girls aged 10 and up. 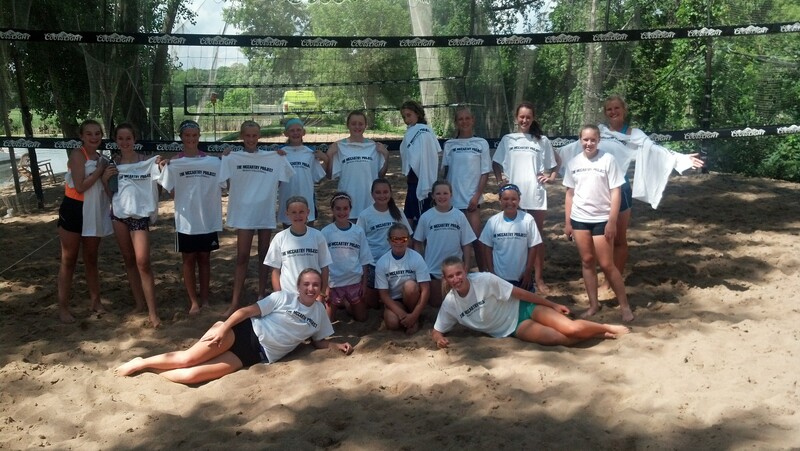 Our Beach Volleyball Camps are a great combination of instruction, fitness, and fun outside in the sun and the sand. Our hope is to create an positive environment for enjoying the game of volleyball, while having a great time outside. For 2019, camps will be held on Lord Fletchers (Lake Minnetonka). For our clinics, each day will consist of 1 hour of technique and athlete development drills, while the last 1 hour will be playing the game. If the court is available after the session, open volleyball will be available. On the last day of the camp, we will be holding a camp wide tournament. Each camp is $120.00 per player. Group discounts are available for 5 or more. Call Stephen at 612-741-0982 for special pricing. All activities will be held at Lord Fletchers Old Lake Lodge in Spring Park, MN. Lord Fletchers has a great view of Lake Minnetonka, as well as, a great atmosphere to have lunch, if you would like, and play volleyball.